Autism effects a wide spread demographic. One therapy that is often sought out to help those effected with Autism. 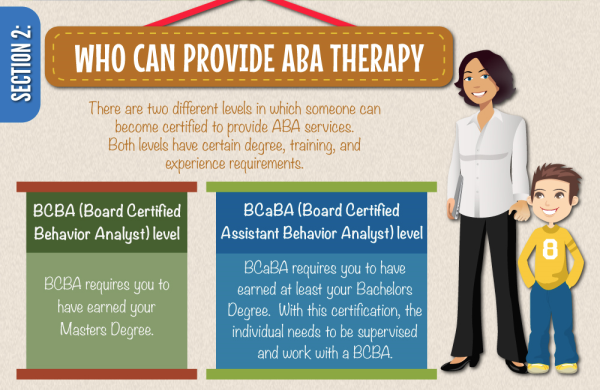 ABA refers to Applied Behavior Analysis. It used to be referred to as behavior modification. 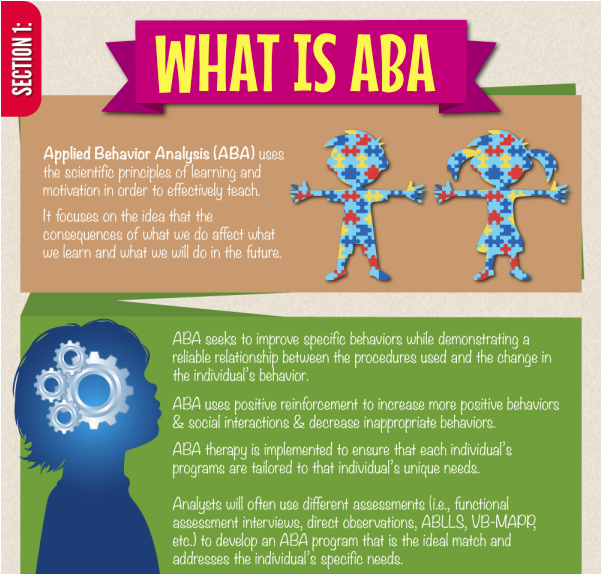 ABA is based on the theories of behaviorism. It focuses on using consequences to teach now and effectively teach skills for the future. Although ABA is predominately used for those individual’s with Autism Spectrum Disorders, the techniques could be used to teach the general population. 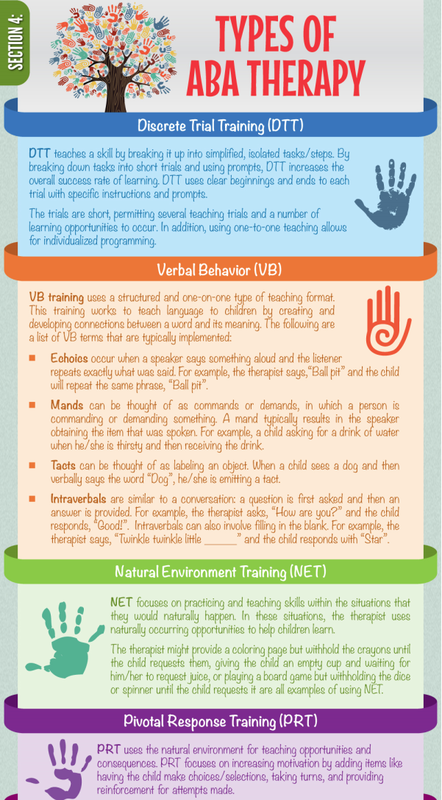 There are different processes to become a certified Applied Behavior Analysis provider. If you as the parent are not certified or would like to learn more, often school directed toward those on the Autism Spectrum Disorder have trained individual’s and can get you more information. 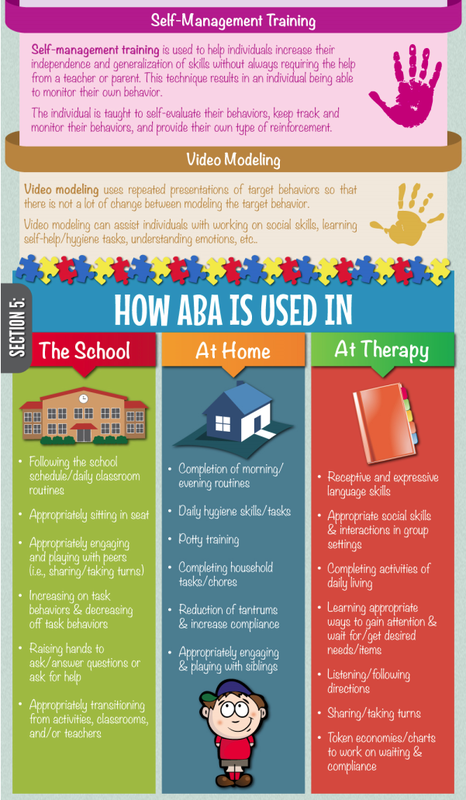 Although ABA is often thought of as an Autism focused therapy, it can be helpful for a wide spectrum of disorders. These include but aren’t limited to: Autism, Asperger Syndrome, PDD, Traumatic Brain Injury, Problem Behaviors, Developmental Disabilities, Tantrums, Non-compliance, Physical Aggression, Dementia, Self-Injurious Behaviors, and Alzheimer’s. Since the whole Applied Behavior Anaylsis approach is based off of creating an individualized plan to reach the individual’s goals, it really can be used on anyone. The amount of time and effort put into the approach can often effect the outcome of improvement seen in the individual. Meaning the more time you spend with quality ABA therapy the better likelihood of good results. 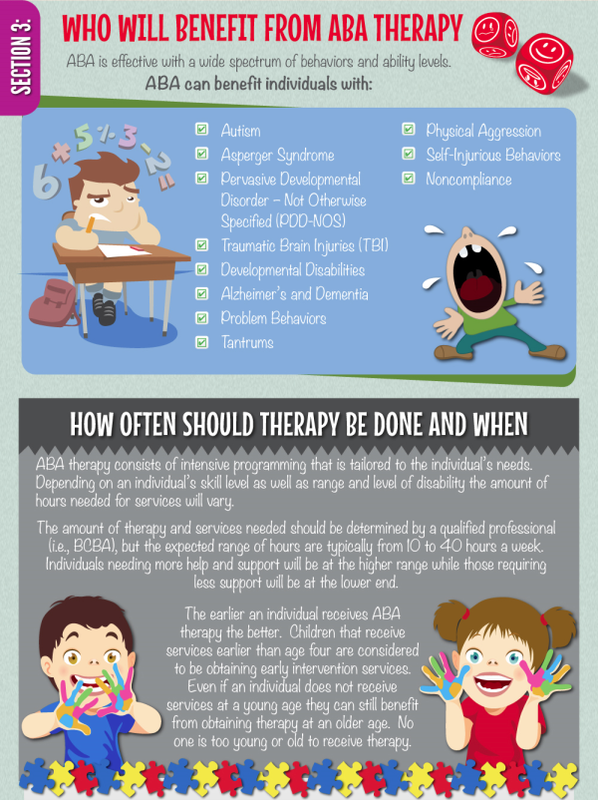 There is a wide range of approaches or types of ABA therapies used to meet a variety of goals. These are some of those included. It is important to use what works best for the child. Many children may need more than one, but with each individual case there are many variables to consider. 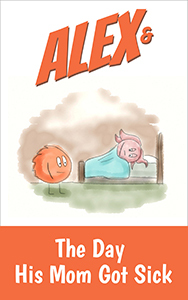 which provide a basic understanding of ,“What is Autism. ” Asking your child to take their thinking one step further will certainly help develop and expand their brain’s capacity for learning. a dating life and you won’t be exhausted every night. Although they have very few expectations, they are very accepting of their children’s desires and interests and encourage them to pursue every opportunity. helping kids get up and out to the bus before it leaves.